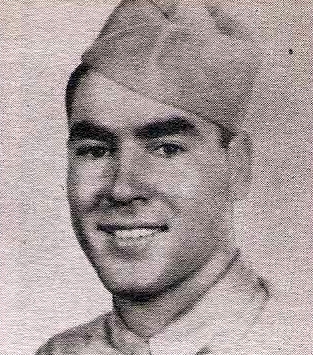 T/4 George P. Gray, son of Mr. and Mrs. J. E. Gray, Olney, attended Bitter Creek and Olney Schools. Entered Army, 1942, trained at Camp Bowie, Tex., Camp Campbell, Ky., Ft. Jackson, S.C. and Camp Barkeley, Tex. Served in France and Germany. Awarded GCM, Bronze Star, Purple Heart and ETO. Killed in action near Frankfurt, Germany, 1945.